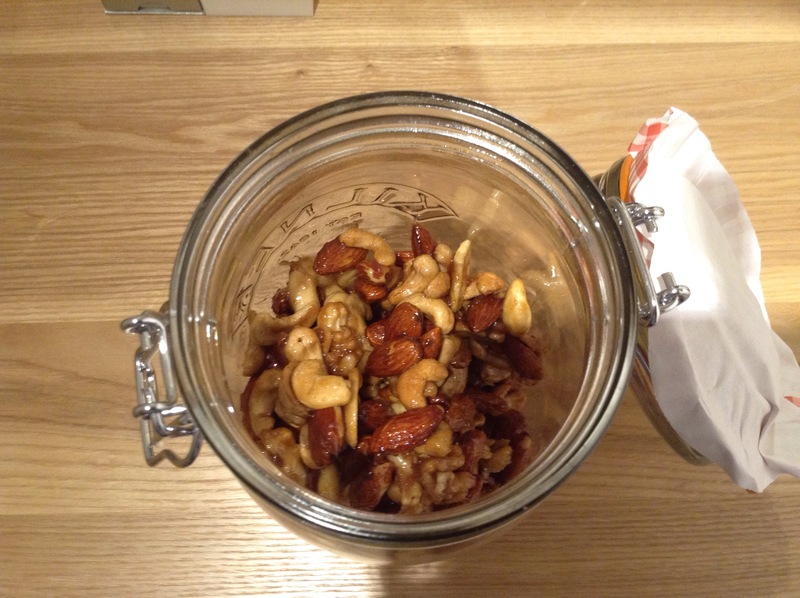 Reflection & Honey Roasted Nuts! I found this little bad boi that was meant to go up the day before Christmas! So, as a little throwback (and because I think it was a really nice post anyways) I thought I might as well just post it now! ‘Twas the night before Christmas. As far as these 12 Days of Christmas posts go, I think I’ve done alright actually?! ‘World peace starts with yourself’. And I think that’s very true. This year I’ve learnt that for you to be happiest, you must take care of yourself first! That doesn’t mean be completely selfish, but to try and be the happiest you can, which will in return make the people around you happier, which will (if you’re like me and seeing other people happy make a you happy, which i image many people are) will make you even happier! Now onto a slightly less deep note – FOOD! Preheat oven to 350° degrees. 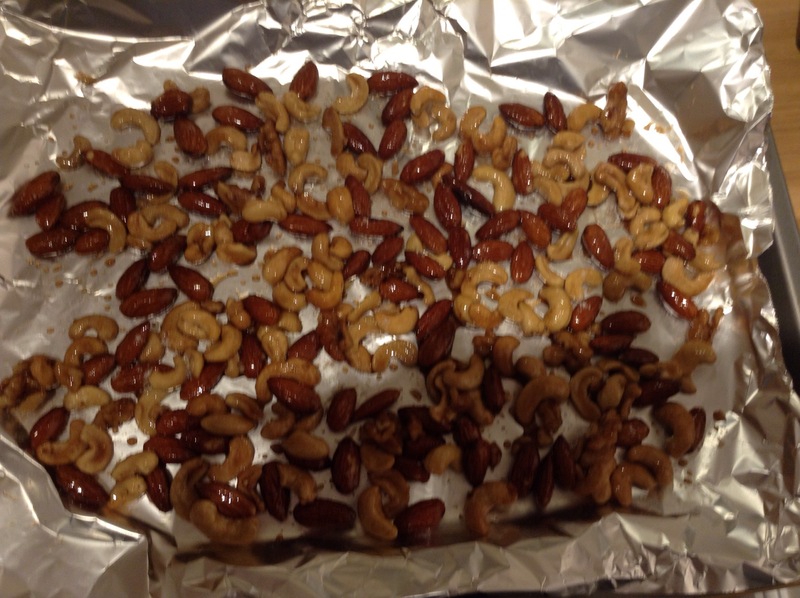 Cover baking sheet with foil, dull side up; this helps them roast faster. Roast for about 10 minutes or until browned. The rule of thumb is once you can smell them they are done. Let nuts cool completely. Leave the foil on the baking sheet to be used later. In a small bowl mix together sugar, salt, and cinnamon. Set aside. Add wet ingredients to a large sauté pan and heat over medium high heat whisking constantly until it comes to a boil. 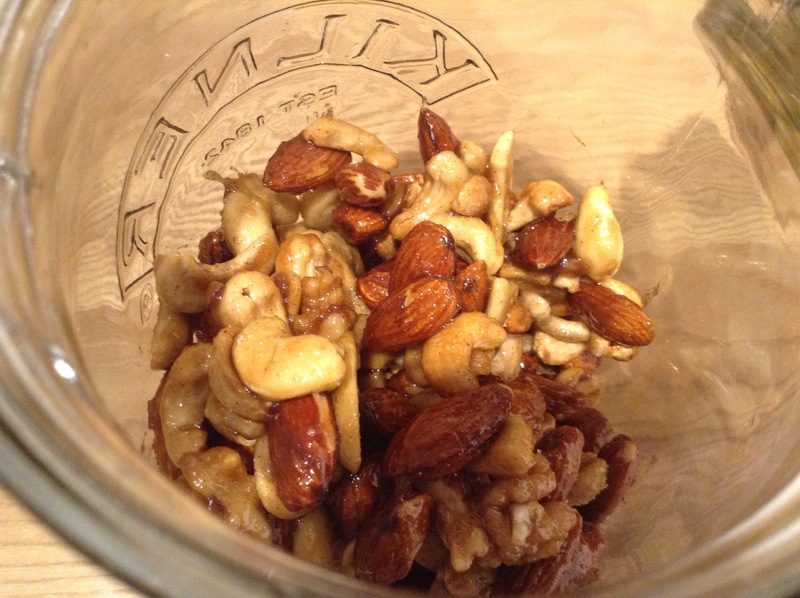 Add nuts and stir constantly until most of the liquid has been absorbed by the nuts, about 2 minutes. Be very careful not to scorch your nuts. Add dry mixture and stir until sugar has caramelized. A little more than a minute. Spread in a single layer on your foil covered baking sheet and let cool before serving.